Today’s podcast guest is Josh Andrews. Josh is a business lawyer who helps small business owners and entrepreneurs develop a clear legal plan to protect their business as it grows. He podcasts, blogs, and spends his time giving entrepreneurs a clear path to legal protection. 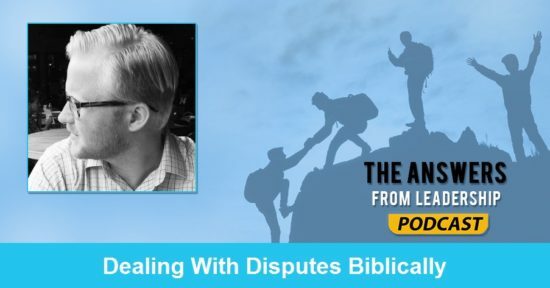 With that, I’m excited to share with you Josh’s insights into handling disputes biblically as a leader. This episode is good. Real good. He’s a child of God. A husband. A father of 4. He’s spent the last 12 years learning how to become a leader in his field as a lawyer and at home. He’s a lawyer but not the blood-sucking kind. He knew the choice of a lawyer wasn’t going to allow him to be the kind of leader at home that he wanted to be. He set out to create a law practice that would allow him to put his family first. 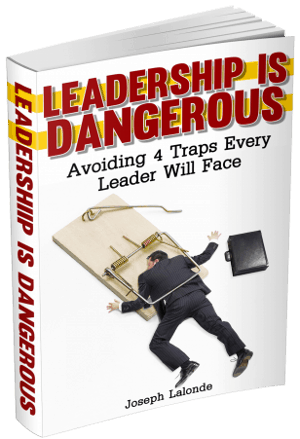 What leadership difficulties have you encountered as you’ve led at home and in business? One big struggle has been being the young guy. The young guy who’s leading and out ahead of others. Because of this, seeking guidance and wisdom has been a challenge. It’s been hard to find peers in the same area of life. What have you learned from this difficulty? You have to rise up and not let your situation dictate your life. You have a choice. You can take the difficult circumstance where you feel overwhelmed and get to a new place. Those circumstances are learning opportunities. Why do you think we face disputes? Dispute is a part of human nature. Dispute is basically conflict. The reason for dispute comes back to the fall. It’s part of our sin nature. The question then isn’t how do we avoid conflict, it is how do we as leaders work to make those conflicts into opportunities to teach those we lead, or more importantly, to share the Gospel with those who have never heard it before. How can we Biblically handle disputes? This can be tough. Why? Because we’re still sinners. We may have even caused the conflict. We need to step back and realize that it is our business to be ambassadors of Christ. Whether it’s at our work, church, or family life. Have you had any push-back because of your Biblical beliefs? Not often. There have been questions about his choices or counsel. For the most part, though, the Biblical ideas play very well with negotiation tactics. Why is it important for leaders to have counsel? The book of Proverbs is full of instances that tell us that the wise seek counsel. When we look at the best leaders, we see that they’ve surrounded themselves with those who know more than they do. You can’t know everything as a leader. It’s not your job. Who should we seek counsel from? Older, younger, does it really matter? Wisdom is more than age. There is a lot to be said of wisdom that comes from years. But wisdom also comes from experience. Leadership is about relationships. It’s not about what we’re trying to achieve. Focus on the hearts of those you’re leading. If you don’t know their heart, it’s hard to understand why they’re doing what they’re doing. What’s one or two books you’d recommend to a growing leader? Anything else you’d like to share with up and coming leaders?